There are numerous treatment options available on the market today that claim to treat hair loss and male pattern baldness. Of the treatment options that claim to promote new growth of healthy natural hair; electric pulse treatments are clinically proven to work. What are Electric Pulse Treatments? Electric pulse treatments are a non-surgical procedure for the treatment of hair loss. In this procedure, electric pulses or electric frequencies from a positive influence of an electrostatic field are targeted at dormant hair follicles to promote hair growth. This pulse treatment is delivered at low frequency and the penetration of the skin is very limited. By targeting deep enough to affect the hair follicle but shallow enough to avoid deep tissue, these treatments can remain relatively safe and pain-free. Treatment with electric pulses is usually given one to two times a week, depending on the expected outcome of the procedure. Treatment can continue for three months or up to six months depending on the extent of the hair loss and the severity of the condition. Hair loss, especially that seen from Male Pattern Baldness, Androgenetic Alopecia, and Chemotherapy Treatments, occurs when a healthy hair follicle is damaged or enters a prolonged dormant stage. If the hair follicle is not completely inactive, it can be altered into activity with the right simulation. When electric pulses are aimed at these non-working hair follicles stimulation occurs and healing begins. Electric pulse treatments were first studied and researched as a way to stimulate healing and cell regeneration in damaged tissues. From this research electric pulse treatments have been proven to promote healing in damaged soft tissue and bone. In clinical studies, these successful findings have also been recorded when electric pulses were targeted at dormant hair follicles. However, the treatments are only proven to work in individuals that fit the treatment criteria and in individuals with certain hair loss conditions. Am I a Good Candidate for Electric Pulse Treatments? Electric pulse treatments can be a good option for individuals suffering from male or female pattern baldness, thinning hair, hair loss due to chemotherapy and hair loss due to some illnesses. Electric pulse treatments are not recommended for the treatment of hair loss due to certain Medications, Poor Diet or skin injury involving the scalp. Electric pulse treatments are also not a good option for individuals who are only experiencing slight hair loss or hair thinning, whose hair loss is caused by hormonal medications or whose Hair Loss Is Temporary. 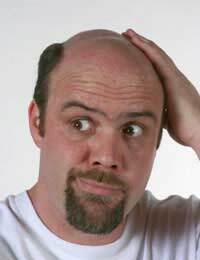 These hair loss treatments are, however, a great option for individuals who have tried other hair loss treatments, such as hair growth creams, shampoos, or vitamins, without success, those who wish to avoid wearing wigs or hairpieces and those who do not want to undergo hair transplants or take prescription drugs. While electric pulse treatments have been clinically proven to halt hair loss and promote new hair growth, the treatments are not for everyone. Before agreeing to any hair loss treatment option you should always research the procedure thoroughly and talk to your doctor about the potential benefits and side effects. There is lots of advice on alternative treatments for hair loss on this site, including Follicle Injections, Medication and UV Light Treatments.